LEDs are light sources give High Brightness with Low Power Consumption. LEDs generate Low Heat with Long life span and are Green to our environment. Everyone needs light at places where or when there are dark. We try to provide the best lighting to brighten the places when we are in and hopefully Green or less damage to our environment. * Led light need much less electrical power. To give the same brightness of the other traditional light sources do; Led lighting consumes only 10 to 50% electrical power while compares to other light sources. 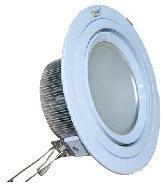 * Led generates very little heat when it is on operation. This will reduce electricity charge for our cooling-system. * Led lightings have long life span?? For 3 or more years almost zero maintenance cost for using Led lighting. Led will last but not all Led lighting will? When light Flicker, our eye will be uncomfortable especially for those who have sensitive eye. One of the customer in his fifty plus came to my shop told me Led light improve a lot on his eyesight especially when reading. * The bandwidth of the Led light beam is narrow. The light ray that Led generated does not contain UV ray and Infar-red ray which are not healthy to our body and environment. Recently (July 2011) I begin to realize that for certain types of Led Bulbs are not lasting. * The Led bulb that is on for 24/7 (24 hours per day and 7 day per week) will have shorter working life span. * The led bulbs that direct connected to 230Vac will fail faster than that of 12Vac bulbs. * The smaller the size of the Led bulb (it should be the area of the Heat Sink of the Led chip.) of the same power will have shorter working life span. After searching the information in the internet and consulted some friends in this line, the cause of the failure is not due to the Led Chip, the main problems come from the Led driver. Led driver is the power supply that provides electrical condition (low voltage DC current) for the Led chip to generate light. Led drivers are same as any Power supply which consist E-Caps (Electrolytic Capacitor) which is the weakest component (Shortest Life Span.) in the power supply circuit. Its Life Span will reduce when the working temperature increase. Normally the life span of the E-cap is stated to 10 000 hours, but if the temperature of the environment around the E-Cap reduce by 10 degree Celsius, then life span of the E-cap can be double. If the Led driver is working under the designed temperature, its design life span can be achieved. 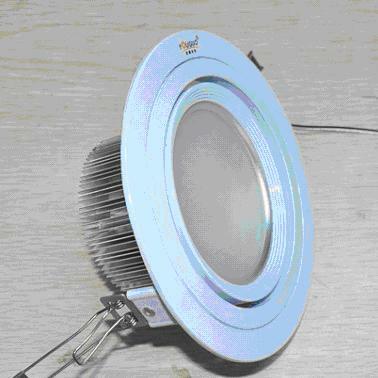 Although Led when in operation generates low heat while compare to traditional light sources, this heat if not handle carefully it will burn the Led chip. In today technology, as long the temperature of the Led chip keep below 60 degree Celsius the Led chip will work fine. But the Led driver needs to work under designed temperature of which the highest limit is somewhere at 40 to 50 degree Celsius. 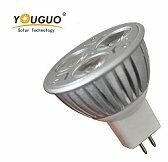 For the whole Led lamp, the temperature of the heat sink after in operation for half an hour should be at most 40 degree Celsius which is somewhere our hand can hold it. Due to long Life Span of the Led chip, the real Life Span of the Led light is depended on the Led Driver which is same as power supply. All power supply is cold by air. This tells us that Led lamp needs to be placed at place that has good ventilation. Please click to read How LED Save Your Lighting Cost. They are designed to direct replace MR16 and GU10 Halogen Spot Bulbs. The most cost saving replacement. Save electricity charge up to 90%. If your room main lighting is halogen spot lights and you feel the room is hot; try out led spot light.The reason is operation temperature of the halogen light is up to 300 to 350 degree Celsius and for led spot light it is around 50 degree Celsius. Please click on the picture of the MR16 LED Spot light to find more about these LED Spot lights. They are designed to replace Incandescent Bulbs and Energy Saving Bulbs. Power saving about 90% when replace Incandescent Bulbs. To replace fluorescent tubes 50% power saving for the same brightness. 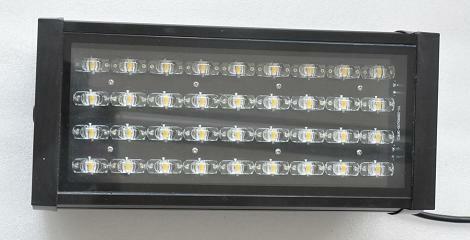 Please click on the LED Flood Lamp below to see the product specifications. These Led down light are to replace Compact fluorescent down lights. 50% save in electrical charge,long lasting. nice design out look and minimum maintenance cost. Click the picture to see the product and spec. of the lamp. This Led sensor Light come with Light detector and PIR (Passive Infared) Sensor. It will turn on by itself when someone get into the area where the PIR Sensor is monitoring. Can be used as security light. It has switch to set the lamp to bright up only during dark environment when some one passed by or brightup when peeople passed by. Click on the picture to see the product.